Hukumonline.com’s superior products and services are guaranteed to meet the needs of legal professionals, be they company, government or law-firm employees, or academics. 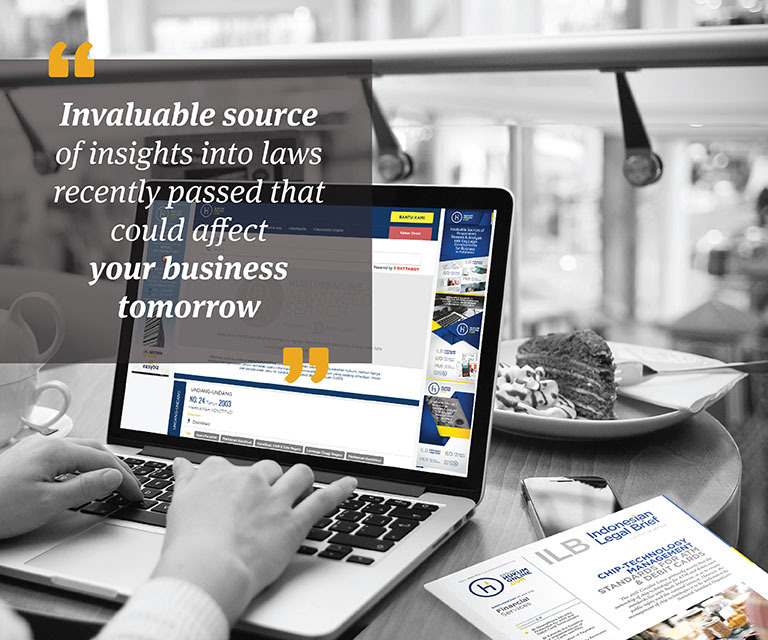 Laws, regulations and court decisions analyzed and emailed directly to you. All analyses are compiled by our special Hukumonline.com team, which is made up of personnel with strong legal backgrounds who have graduated from reputable universities, both in Indonesia and abroad. Hukumonline.com organizes seminars, training sessions, discussions and in-house training aimed at the ongoing development of legal expertise and discourse. Previous participants include legal practitioners, businessmen, academics and government employees, and our events have covered a wide range of relevant legal topics. All of our media publications offer interaction with the largest legal community in Indonesia, including lawyers, the in-house councils of reputable corporations, businessmen, government officials, academics and so on. Hukumonline.com is accessed by more than 235,000 readers each and every day and a total of 4 million page views are recorded every month.